The foundation of our financial management business has always been the relationships we have had with our clients and Lifetime has been built upon their loyalty and the level of service we have been able to provide. We have grown and continue to do so through the recommendations and referrals we receive from them, this has helped us to remain profitable and so able to improve our services to all our clients. We want to continue to develop this relationship and we also want to give you the opportunity to make a difference to your community. A hospice is a house, or home, dedicated to the care of terminally ill patients. The first hospice was set up in 1900. 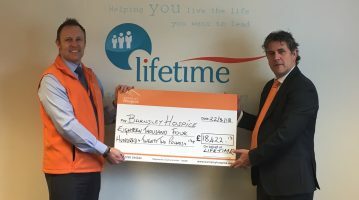 Charitable hospices in the UK raise the bulk of their funding through support from their local communities including: fundraising, hospice charity shops, legacies, hospice lotteries and investments. They receive some statutory funding although levels vary across the UK, between the different nations and also within different regions. In Scotland hospices receive on average 39 per cent of their income from the Government, in England it is 32 per cent, in Northern Ireland it is 37 per cent and in Wales it is 27 per cent. On average children’s hospices in the UK receive 15 per cent of their funding from the Government, less than a fifth of their expenditure. The purpose of hospices is to care for and support patients and their family and friends. To relieve pain. Today it is thought it is not necessary for terminally ill patients to die in pain. Hospices specialize in pain control. Hospice staff believe all pain, however severe can be brought under control. To help patients, friends and relatives face up to death. Opportunities are given to the patients and to family members to discuss death and dying. To care for the emotional needs of friends and family. Hospices help families cope with bereavement before, during and after the death of their relative. 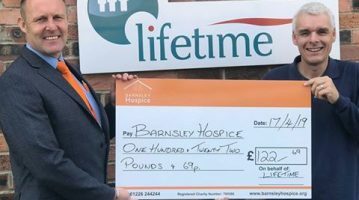 If you would like to take part in our Referral Scheme we will provide you periodically with updates showing you how much has been raised by our clients for their local Hospices. Please contact the office (telephone: 01226 208600) if you would like more details, and thank you for your continued support.